Jelly Roll Rug Pattern requires 2 rolls so be sure you are ordering enough. 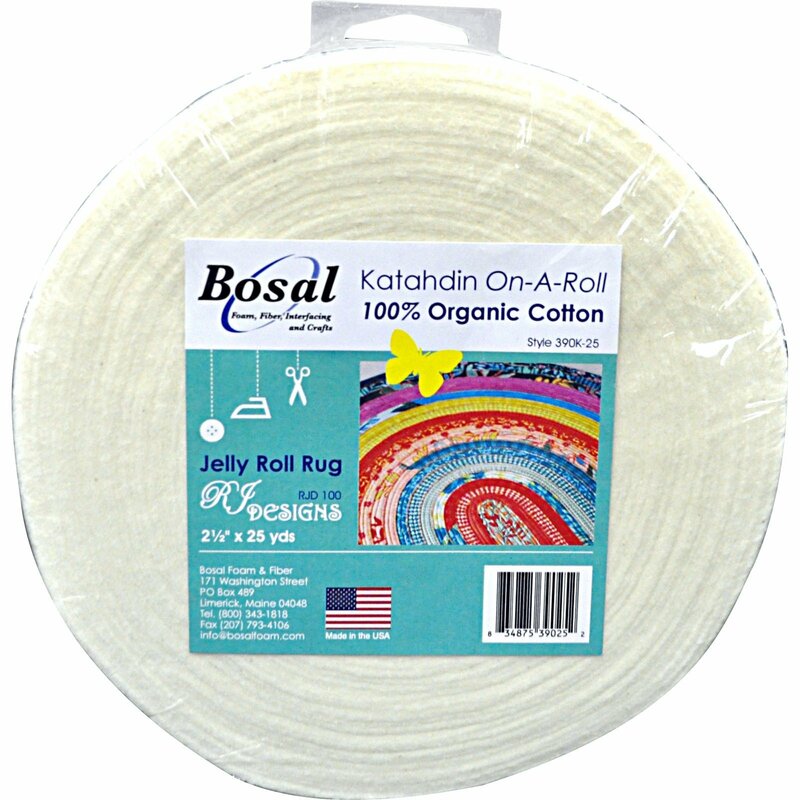 KATAHDIN 100% ORGANIC COTTON Batting 2.5" Strip Roll !!!! 100% Organic Cotton. Skip all that strip cutting!